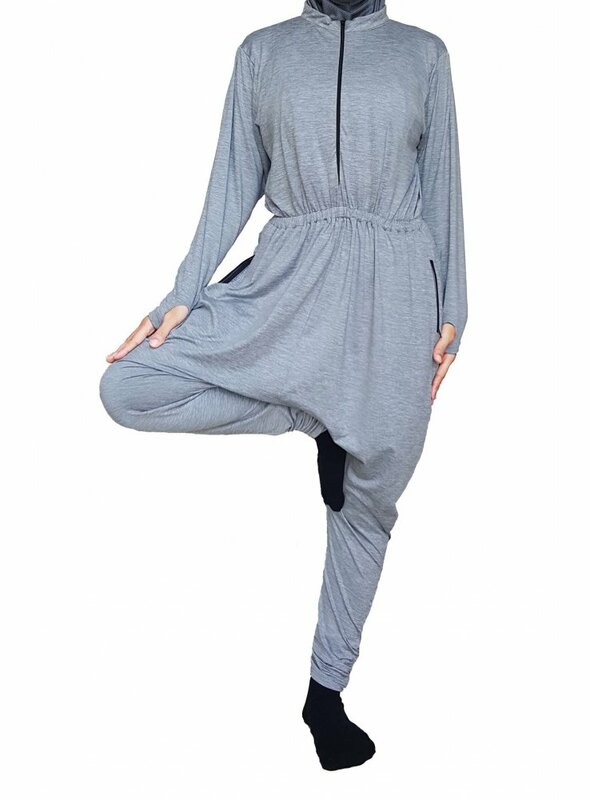 Specially designed for yoga and pilate. 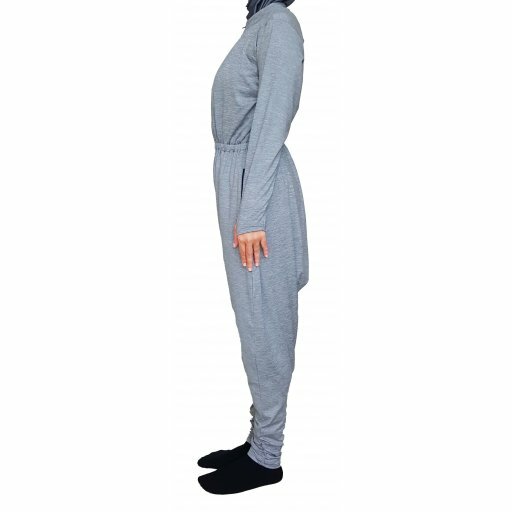 Made of Polyester Microfiber & Spandex. Logo located on right shin. Kualiti fabrik terbaik. Sesuai dipakai semasa riadah dan zumba. 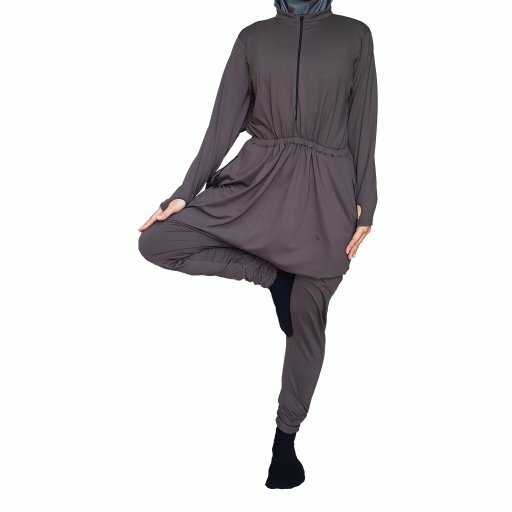 Seharian memakai Modest Yoga Suit tidak melekit. 5 stars! Sebenarnya saya nk bg 5 bintang tapi lupa nak klik bintang2 tersebut. 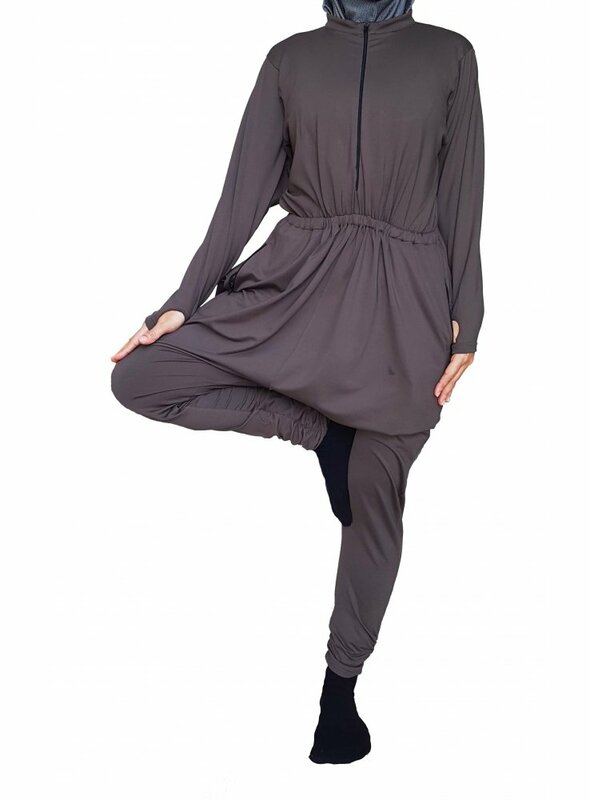 Yoga suit ni mmg menutup badan. Xperlu risau jika t-shirt terselak dlm pelbagai posisi. Fabrik yang sesuai kerana peluh cepat kering dan xperlu risau cawat seluar terkoyak lagi kerana cawat seluar luas. Rekaan terbaik dan sgt berpuas hati. 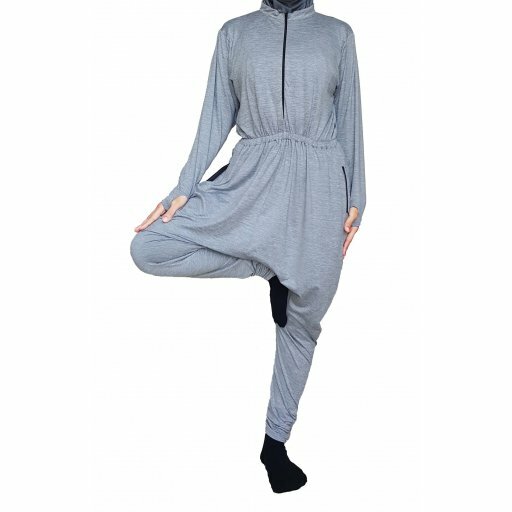 Sy tak perlu risau lagi apabila baju terselak dlm apa jua posisi dalam aktiviti jom cargas. Masih menutup badan. Fabrik yg sesuai kerana peluh cepat kering.. sy syorkan anda utk beli, berbaloi dengan harga..
Good design & practical. 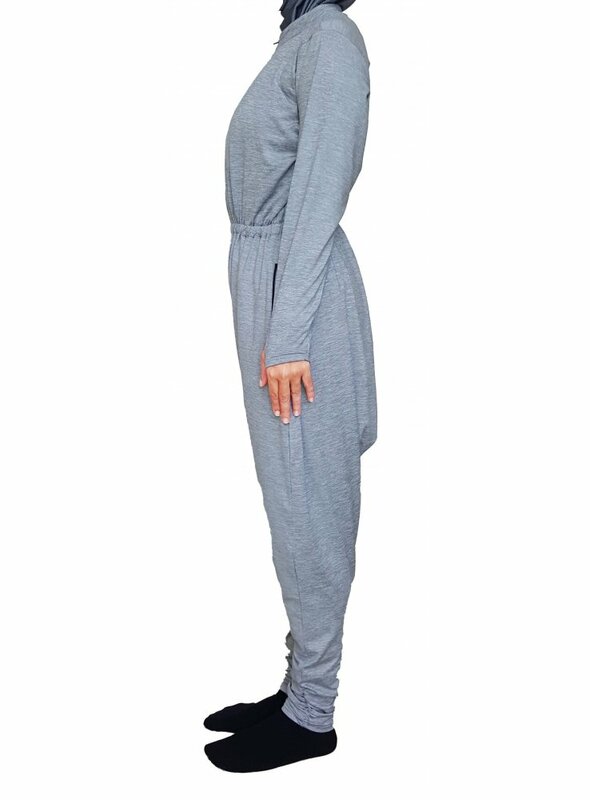 You can workout in modesty. Value for money. 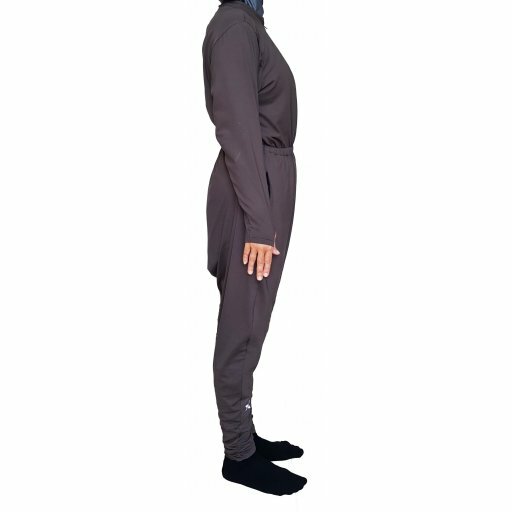 Before finding this suit, my twice weekly yoga classes were either needlessly difficult (with me tucking my shirt into my pants throughout the class or re-positioning my body to stay covered) or it was embarrassing as my shirt would rise up while being inverted even so far as covering my head! I was so delighted to find this suit and it has worked amazingly. I don't ever worry about my modesty or have to bother with my clothing at all during class. 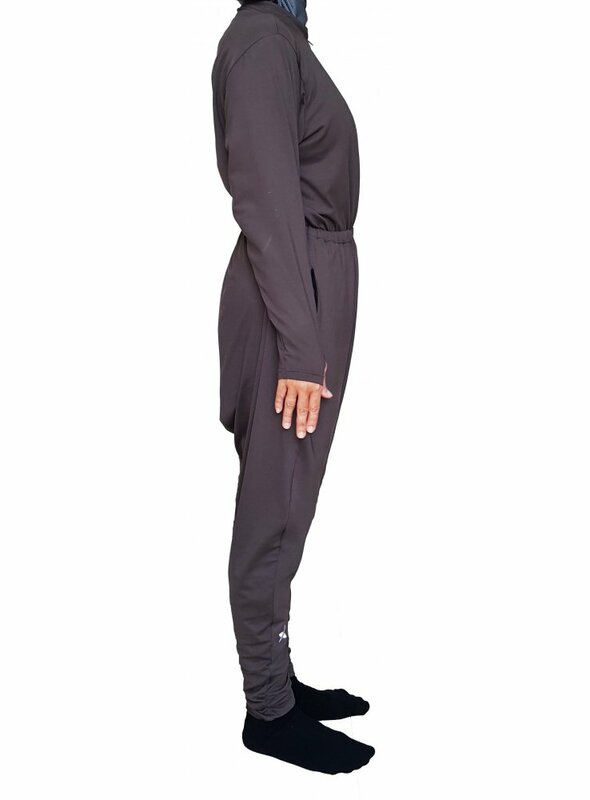 This suit flows as smoothly and effortlessly as my body into even the most complicated poses! It covers your aurah and is loose in areas where you require optimum coverage.